The temple of the MX-5 is hardly suffering from a lack of worshippers. It's crowded with devotees from across the world getting down on their hands and knees to sing to the glory of the 'world's most popular sports car.' Yet it lacks the excitement required to be considered a great. I am what you MX-5 disciples might call an infidel. I simply do not believe that the Mazda MX-5 is the great sports car it is made out to be, it doesn't deserves the worship that it gets. Equally, I'm not of the opinion that the MX-5 is a terrible car entirely unworthy of praise. It's a good car, but it's not a great sports car. Now before you insist I should be burned at the stake for spreading such blasphemy, I have a case to make – starting with what I like about Mazda's little roadster. I enjoy the handling of the MX-5. It's good, but it's not the best handling I've ever felt in a car and certainly not up to the hype – Toyota's GT86 is superior in that department. The best part of the car was the gearbox, rather addictive to use and blessed with this quality of feeling just right each time you put it to use. No wonder Morgan put it to use in their brilliant 3-Wheeler. Its character definitely hints at a previous era of motoring where things were a little bit simpler, the whole car has a spirit, and I like that in a car. Yet at no point whilst driving the MX-5 did I feel it was a sporty car. The majority of hot hatches on the market now perform better than the Mazda MX-5, and it certainly cannot compete with the daily usability and convenience that a hot hatch provides. Nor is it particularly well priced – as a new purchase it's expensive for what it is and if you purchase an older generation, you'll be down yet further on performance. Performance absolutely has to be the central feature of a sports car. 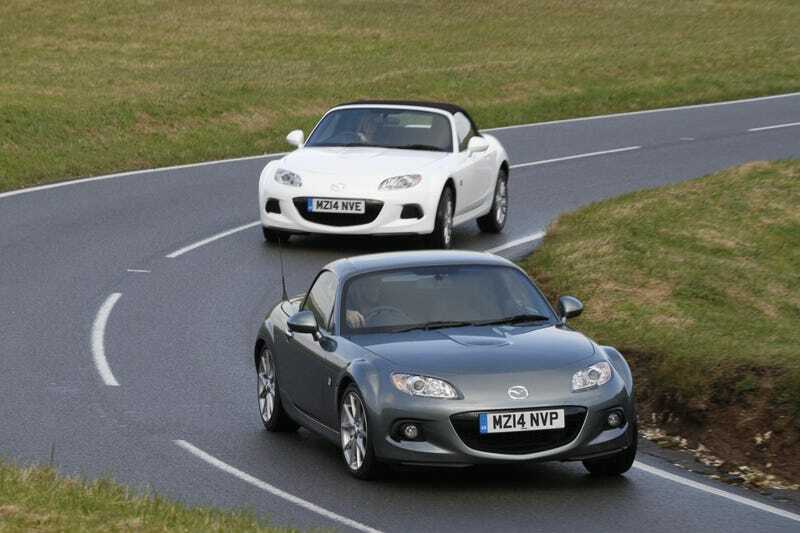 The Mazda MX-5 is now left behind by far too many other cars on the road; even the design isn't particularly inspiring. It simply doesn't excite, and excitement surely has to be right at the top of the list of ingredients in a sports car. Only by definition is the MX-5 a sports car and that doesn't sit right with me. It has perhaps become its own genre, desired for its cute, handbag-like status just as much as the fabled driving experience. It's become a bit of a cop out for those looking for something a bit 'sporty' and hip, a slightly lazy purchase. It needs new competitors and fresh thinking from the guys at Mazda if it's ever to become a sports car by more than just an outdated definition. Maybe the upcoming new model will do just that. Whatever the case may be, the MX-5 is hugely popular and blessed with vast legions of followers. That's a victory for car culture regardless of popular or unpopular opinions. Cars like this are important to our oily little world, and I endeavour to respect the beliefs of any inhabitant of this place. After all, it's a good car.